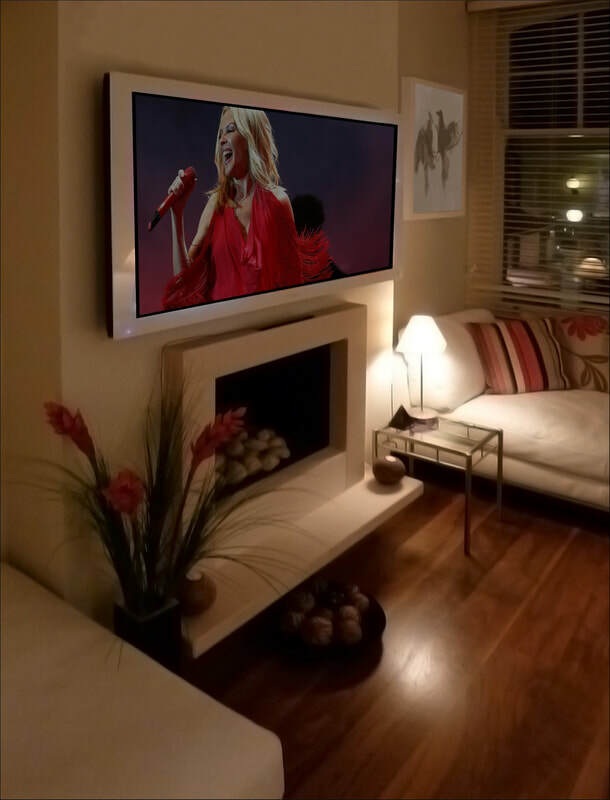 The family room has a clean, modern interior design and we custom finished the screen in white to compliment this. 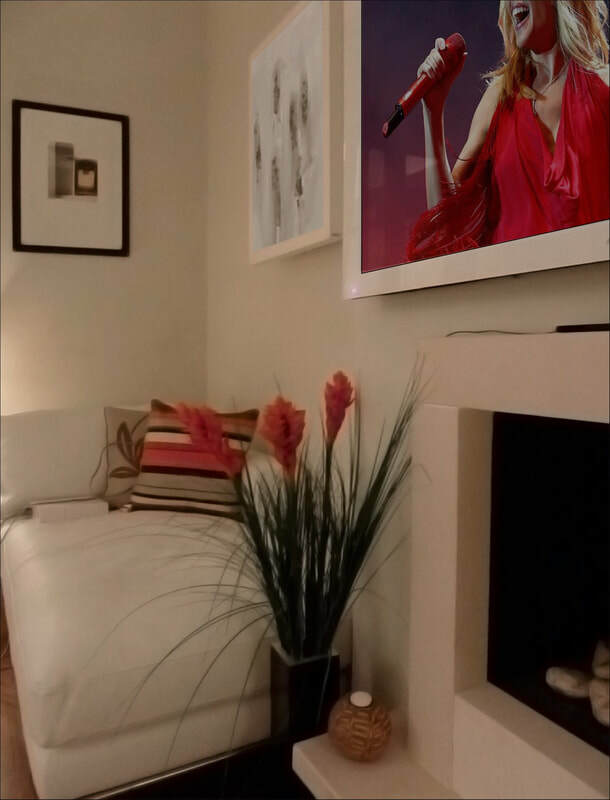 Either side of the screen are Artcoustic loudspeakers, offering great performance with the added benefit of looking like artwork instead of loudspeakers ! 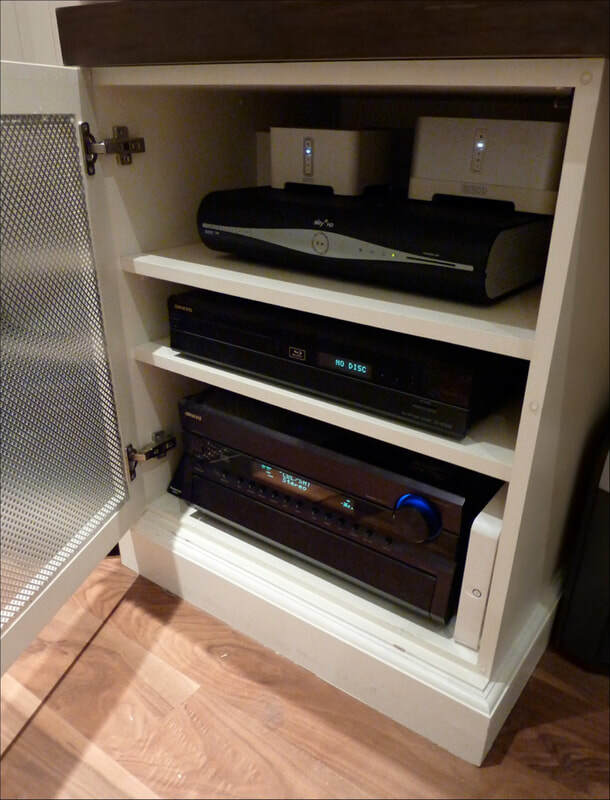 Music is played through a Sonos system beefed up with additional amplification. Access to iTunes, internet radio and Spotify is all possible. The Bedroom has a subtle music system again using Artcoustic loudspeakers. 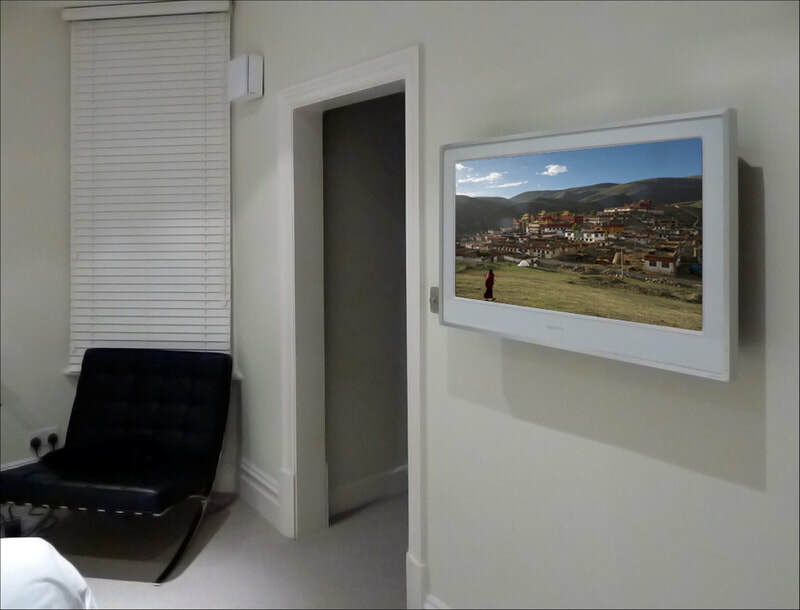 A small TV finished in white can access the same movies and TV as the main family room system. The master bathroom has steam proof ceiling speakers which are connected to the music system for playback of radio or iTunes etc. ​More than 10 years later the system still looks and sounds fantastic !